Mobile use is impacting marketing campaigns in a big way. Most people grab their nearest device when they want to check their email and more often, that device is a smartphone. Recent Nielsen data indicates more than 50 percent of U.S. mobile subscribers own smartphones, a number that continues to grow. More numbers for you: In the first six months of 2012, 36 percent of all emails were opened on a mobile device, according to a study by Knotice. Find out how many of your clients are mobile by checking your delivery reports, which should say how subscribers open your email and what kind of device they’re using. If the numbers are large, this helps to justify investment in improving your system. Use a mobile-friendly template to cater to the most popular devices. You can find templates on sites like MailChimp and Campaign Monitor. Create quality, compelling content for your audience to turn your subscribers into repeat consumers. Think about the best layout type for your content. Single-column layouts are attractive on mobile devices, but a study found users frequently encountered difficulties with the text size. Multi-column layouts allow users to zoom into the text in each column without having to scroll from left to right. Is your font size easy to read? Apple recommends a font size of 17-22pts in mobile emails. Test your font often to see if it holds up. Be kind to your subscribers: follow standard email practices, including having an unsubscribe link as well as a link to a web version of the email. 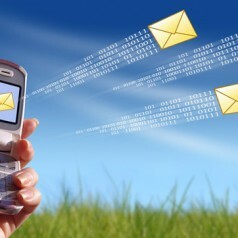 Have you successfully used any other tips or tricks in past email mobile marketing campaigns?